News writing is a key skill for journalists, but it helps with other types of writing as well. That’s because news writing is about telling a story quickly and concisely. Anyone can learn to do this, with a bit of help. Here’s how you can write the news and get your story across. The technique also works well for writing press releases. News writing has its own structure. It’s called the inverted pyramid. This upside down triangle serves as a guide for how you include information in the story. Using the inverted pyramid means starting with the most important information, then putting the next most important info and so on. It can also serve as a guide for writing each paragraph in the story. Start with the most important point, then the next most important and so on. The inverted pyramid has an interesting history. Before digital printing and desktop publishing, news was laid out manually. If a late breaking story came in and the editor needed to make room, then the editor would order another story to be cut. Having the most important information at the top meant that readers always got the essential parts of the story. Another way to think of the inverted pyramid is that you start with the facts and then add the background. So, how do you know what background to add? It’s easy. You can use the 6Ws. Strictly speaking, there aren’t six Ws, there are actually 5Ws and 1H, but the formula seems to work. That mnemonic reminds us to include the who, where, what, why, when and how of a story. Why is this? Think about how you tell a story to your friends. You might say: ‘You’ll never believe WHO I just saw!’ Then you might go on to tell the story of where the person was, what they were doing, and why it’s scandalous. We all want to hear about people – and that’s what news is about? Look at any news story and you will see that all of this information is in the first two paragraphs. Anything after that is background to the story. Two people sustained serious injuries in a car crash at Hill Road at 6am today. The collision happened when Mr. Smith swerved into the opposite lane to avoid a dog in the road. Ms Jones, who was in that lane, was unable to stop in time. Both Mr. Smith and Ms Jones have been taken to the local hospital. This is not a perfect example, but you get the idea – and now you can write the news too. I was taught that the origin of the inverted pyramid structure was different: That battlefield reporters used it to get the most important parts of the story over the telegraph wires before they were damaged or cut by the combatants. Either way makes sense, though. Jay, yeah that is the origin in fact. We have covered that on the “Inverted Pyramid” article that you can find on the right sidebar. I guess Sharon was just sharing another anecdote related to it. Hi Jay, thanks for adding that information. I guess the inverted pyramid makes sense both for both news reporting and news editing. Thanks for this post – please write more about news writing and other non-fiction styles. Will do, wannabe writer. I’ve got a few more ideas for posts on non fiction writing. Sharon you got my attention that is for certain, I was told that I didn’t tell my story correctly, some said I wrote too much others said I didn’t tell a clear and concise story. I realized that many background details were needed to be understood and when I finally thought I was on my way I found out that I was only a pawn being abused over and over again. On one hand I didn’t give enough detail and on the other hand I was told I said too much. 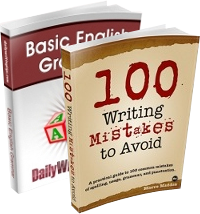 I will link you up as a teacher in ‘how to’ write. Thanks for sharing this, inverted pyramid, the art of writing news paper articles, indeed we learn as carriers you happen to read a few articles. Thanks, Gary. I think that once you know the basics it’s easy to write news stories – and it’s a good exercise for seeing that you’ve covered the basics in other stories as well. Thanks for this entry. I just starting working at my college newspaper and am thinking of going the journalism route for a career. Any help I find is stellar. 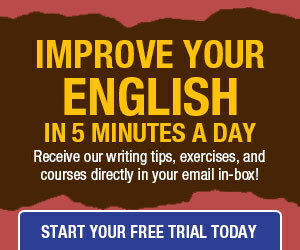 Great website btw, especially for a person like me just starting to get their writing bearings. Good luck with journalism. It’s a great career! Thanks all! Sorry I missed the sidebar. Great subject! the art of news writing skills,basic ,but classic !i’m from mainland China,i’m a MAC student,one more colleage year to go,the article is great! It’s amazing how many newspapers do not follow this structure. We have two newspapers in this town and I find I’m always having to skim the entire article to even find out where the event took place. Journalism in all these mega multi newspaper syndicates has gone seriously downhill. It’s all bottom line for the owners and good journalists are usually the first to go. Hey Jay i would like to know more about news wrting we taught in atheory class how to write news using the inverted pyramid.I think you should give an example of news story from an article and then put to writing so that we can have an idea of what to do.Please do reply. i think i will do good in jornalisym. thank you. thanks for this info! i have now guts to win our school contest on writing a news. xD! I guess am almost on the verge of discovering a whole new world on its own – journalism. Your expositions and fact have taught me so much and am certain you will help as I go along the way to clinching the ultimate at the end of my journey in the world of professions. I want to be a good journalist.Because I think this job is very honerable. So Please I would like to know more about the best way to write news.Thank you……….. Thanks for opening my mind to the upside down pyramid structure of narrating a story or information.I am exploring the career as author of books. I am presently involved in work that requires writing reports and speaking about them.It requires accuracy and truth but should not become sterile, cold and boring.I need to develop the skill of adding humour and the correct emotion and tone.What area of writing development should I explore. This book is very essential for me. it is enriching especially to the new professionals in the field. I have read all, thanks Jay for adding a reporting origin of inverted pyramid my teacher was tought the editing one, as an origin of inverted pyramid. I am journalism student for two year. May God be with you visitors, for visiting this site. Amen,in 5Ws, H,in jourlism studies. This is exactly the nature of a news. I often use that in writing my news articles because I am one of the staffers concerned on news related issues in my institute.